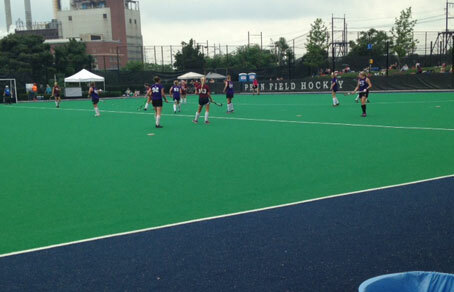 College Quest is a one day event for talented high school players who want to play competitive college-level field hockey. College Quest is for female athletes entering the 9th, 10th, 11th, or 12th grade. College Quest is a unique experience for talented and competitive athletes to showcase their abilities in front of college coaches. 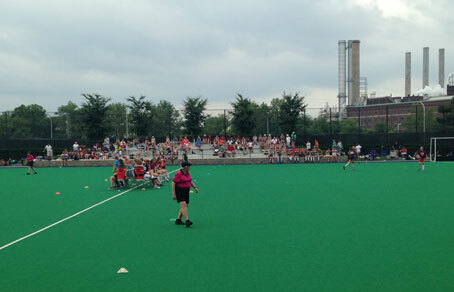 Players will have the chance to play on a Division I NCAA Astroturf field while receiving instruction from experienced college-level players. College Quest can better your chances of being DISCOVERED!!! 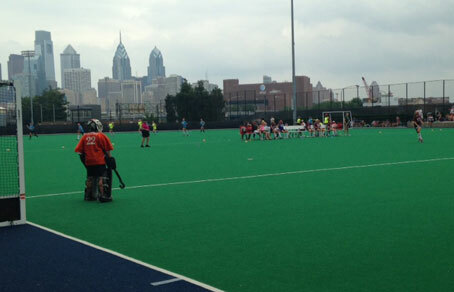 College Quest is open to all female athletes entering the 9th, 10th, 11th, or 12th grade. College Quest will run from 8am - 6pm. For those that are attending College Quest individually and NOT with a team, please register here. 1. Click the "Coaches - Add to Cart" button to register your team name for free! Attention: You must CHECK OUT and SUBMIT ORDER for your team to be successfully registered. 2. Send your campers to the site and ask them to fill out their information by clicking on the "Players - Add to Cart" button AND selecting their team name from the drop down menu. Players must complete their transaction to be successfully placed on their correct team. A nonrefundable credit card processing fee accompanies each order placed. No refunds will be made for any participant who cancels less than 14 days before the event. All requests for refunds must be accompanied by a doctor's note. A $40 Administration Fee will be deducted from all refunds. If participant is injured during the event, she will receive a pro-rated credit for a future event. If the participant is a senior, the credit is transferable to another player for a future event.